Phytomer's AGE OPTIMAL Face and Eyes Wrinkle Smoothing Cream is a 2-in-1 concentrate for men to matify, smooth, revitalize, energize the face and eyes. 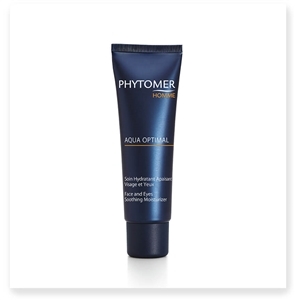 Phytomer's AQUA OPTIMAL Face and Eyes Soothing Moisturizer is an essential post-shaving moisturizing cream formulated for maximum soothing, oxygenating, and mattifying with a non-oily finish. SWEET DEAL! Celebrate Father's Day with two products for the price of one, packaged together in a festive nautical gift box! Phytomer's Father's Day Gift set includes AQUA OPTIMAL Face and Eyes Soothing Moisturizer and GLOBAL PUR Freshness Cleansing Gel, all for the price of AQUA OPTIMAL. Receive GLOBAL PUR free. Phytomer's Alcohol-Free Soothing Aftershave calms irritation and refreshes the skin. Phytomer's GLOBAL PUR Freshness Cleansing Gel is an ultra-fresh formula that gently cleanses, revives and removes impurities, while preparing the skin for the next product. 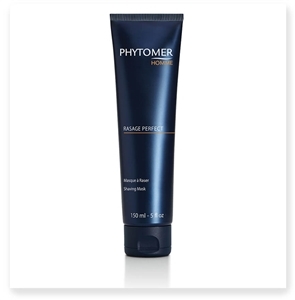 Phytomer's 2-in-1 Men's Shaving Mask provides an ideal texture for shaving and improves oxygenation. Helps ensure that razor slides smoothly over skin to prevent irritation. May be used as an intense treatment once or twice a week as a complete facial moisturizing and detoxifying mask.